There has always been some confusion about this line from Star Wars. (Yes, I LOVE Star Wars!) It is what Yoda says to Luke Skywalker when Luke doesn’t believe he can use the Force to lift an X-Wing. (small airplane thing, if you don’t know) Luke says,” I’ll try”. It seems that people either instantly grasp this concept or they miss the message. It is pretty hard to explain. But I will try…Haaa! No. I won’t try. I will DO! In order to do anything at all, you have to try. So how can there be no try? Well Padawans, if you just “try” it means you may not succeed or accomplish. Just “do”, and keep doing, until you have it done. Trying sets you up to say, “well, I tried but I couldn’t…” Doing is doing. You have not provided your mind with any alternative option. The mind is all powerful you know. We all have the Force! (Even though my son insists that I do not really have the Force because I have yet to use my mind to make the TV remote levitate into my hands from across the room. Doesn’t mean it’s not possible!) I do believe that our thoughts shape the world. If you think it, it can be done. Just make sure you do, or do not. As my favourite little green man says, “there is no try”. Do not give your mind an out. Whether it is a new venture, a fitness goal, opening a stuck jar or mastering your pirouettes, you have to believe and you have to focus. Do. Or do not. Don’t just try. Do it until you succeed. I usually tell people to “try something new” but from now on I will say, “do something new” instead! Do get dancified or do not get dancified…there is no try to get dancified? Hmmm…maybe I’ll just say “be dancified” and leave it at that for now…? Maybe I should stop saying dancified so much? “Help me Obi Wan you’re my only hope!!! !” Haaa! 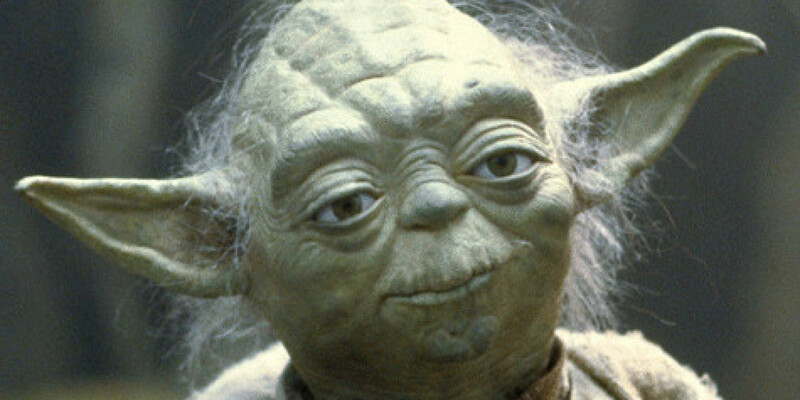 This Post was posted in dancified and tagged dancing, force, star wars, yoda. Bookmark the permalink.